Splitting from the Ethereum Blockchain was not an easy decision. It was only after looking into multiple protocols, Soft Fork options that the finalization of a Hard Fork was made. Ethereum Classic forked on to create Ethereum. After the fork, the new tokens kept the name Ethereum (ETH), and the old tokens were renamed Ethereum Classic (ETC). Not the other way round. Ethereum Classic: Something Old, Something New! When the Fork occurred, people were pretty confident that the old Blockchain would die within a matter of days. It was quite a surprise seeing there were many who still continued to mine on the old Blockchain. They believed in the philosophy of Satoshi Nakamoto, that all mining must be on a transparent ledger which holds the longest chain. The term Ethereum Classic was used by enthusiasts to justify that a Blockchain can’t be held ransom by human whims and demands. It was hence used to establish the difference between the two. This was the reason why irrespective of a Fork, the Blockchain persisted and continues to be used for mining purposes. The main problem with the ETC (Ethereum Classic) is the absolute lack of backward compatibility with the original Ethereum Blockchain. All the heavyweights of the Ethereum community have moved on to the new chain, which means that anyone who is part of the ETC won’t be able to access any of the updates done by the ETH. 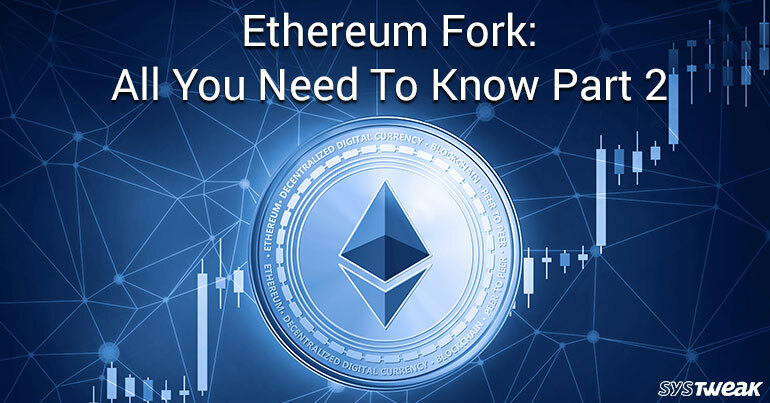 The perfect example is ETH’s move from Proof Of Work (PoW) To Proof of Stake (PoS). ETC won’t be able to implement that because their software simply doesn’t allow the use of updates. Currently both ETH and ETC continue to be well respected names in the field of cryptocurrencies. Now, onto the another upcoming Fork in this Blockchain. Ether Zero: The New Kid On The Block! But what does this mean for an Ethereum user? Was there another attack? What is the reason for this Fork? Ethereum has made a spectacular comeback from an absolute disaster and it looks like it’s going to fulfill all the expectations that people had in it when it started. More than that, keep in mind, there are many pros and cons of both Ethereum Classic and Ethereum . Ether Zero, the new kid on the block has a long way to go before it can catch up to its peers.